The 2016 SEABA U18 Championship continued today and, after all the action, only two teams remain unscathed. 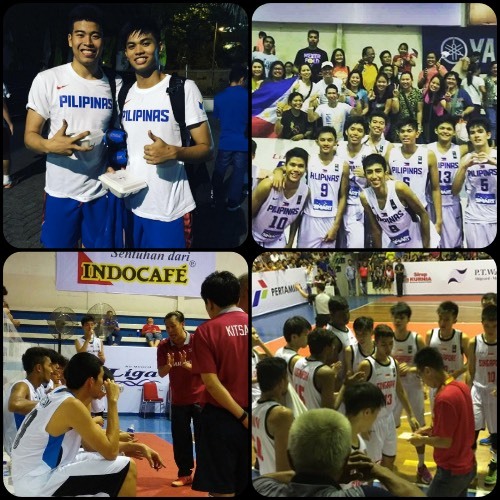 Batang Gilas made short work of Laos in the first game, which was followed by Indonesia’s victory over Singapore. In the nightcap, Thailand broke into the win column by getting past upstart Malaysia. - The Filipinos were expected to give a dominant showing in this game, and they didn’t disappoint. Marinduque native AJ Madrigal shone brightly here, shooting 5/5 from beyond the arc en route to a game-high 23 points, while Fil-Aussie Josh Sinclair came off the bench to drop 18 points and 7 rebounds in just 12 minutes of play. Sinclair also provided the day’s best highlight, intercepting a pass and racing down the open court for a slam dunk in the third period. Sinclair’s teammate at NU, Theo Josh Flores also did well, recording a near triple-double with 19 points, 8 assists, and 7 rebounds. Laos’s starting unit bore the brunt of Batang Gilas’s assault and also carried much of the fight. Sidaphone Kham Ek and Phongphoumy Thavatay paced the Laotians with 16 and 11 markers respectively. - Things were pretty tight throughout this game until the home team outgunned their foes in the fourth period, 20-9. Indonesia pounded Singapore in the paint, scoring 42 points in the box and tallying 22 second chance markers. Muhamad Noor led the way with 13 points and 6 rebounds for the Indons, while Team Captain Bagas Darmawan and Yudha Saputera added 12 and 11 respectively. Singapore, meanwhile, drew a combined 25 points from Zhi Cai Tng and Xuan Sim. The hosts have an acid test tomorrow against Thailand, while Singapore should finally get a win when they face Laos. 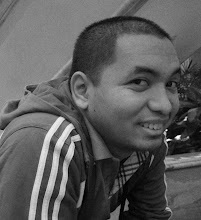 Line of the Game: Yudha Saputera (INA) - 11pts, 8rebs, 2asts, 3stls, 1 triple. - The Thais had a strong first half in this game, but Malaysia rallied in the last two quarters to put a scare in their opponents. Eddie Wong hit a jumper late in the payoff period to cut Thailand’s lead to only 5 points, 62-57, but that was the closes the Malaysians would get, as both teams struggled to find the hole in the last two minutes of the match. Team Captain Suwichai Suwan continued his strong play for the winners, getting 13 points, 8 rebounds, and 4 assists, while Pongsatorn Tabtim stepped up with 14 markers. Natthaworn Banchathon also shone, hitting 3 treys on his way to 12 points. As for Malaysia, Wong and Yee Tong Heng paired up for 23 points to lead the way, while Kah An Soong also did well with a 10-point, 9-rebound line. The Thais can make a grand statement if they beat Indonesia tomorrow, while Malaysia will try for an upset against heavily-favored Batang Gilas. Line of the Game: Suwichai Suwan (THA) - 13pts, 8rebs, 4asts, 1stl, 1 triple.